It is GREEN CADDIS time! 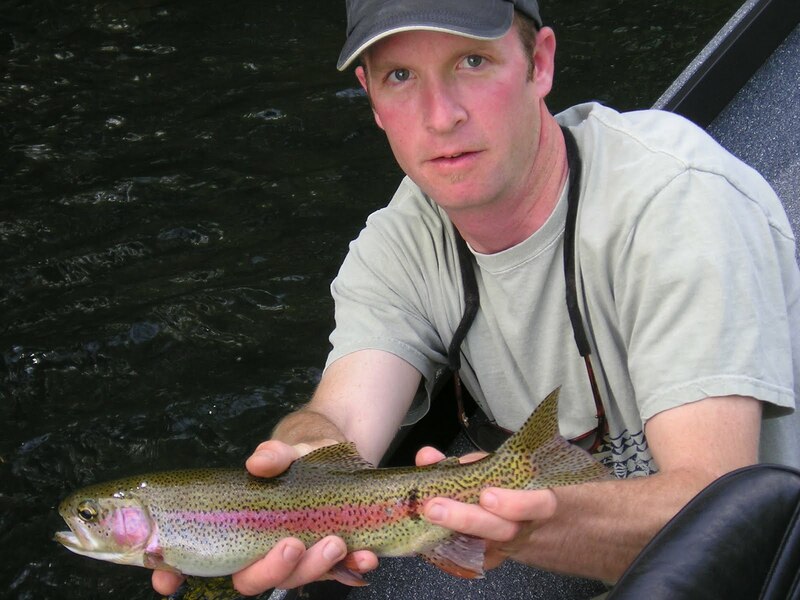 The McKenzie river gets a big green caddis that really pulls the large rainbows from the depths. You can really have some amazing days of fly fishing during this hatch, and two places where it really shines are the McKenzie and Middle Fork Willamette Rivers. The fly is large and very active on the water; making for an excellent hatch for beginner and expert fly fishers. It is the kind of a fly that you can skitter across the water, and some explosive takes from aggressive rainbow trout result. The best thing is how the fly is large and easy to see on the water; so you can watch those trophy rainbows CRUSH your fly! The fly can be fished in both a wet and dry version, and when they are hatching; you will know. There will be explosive rises out in the fast whitecap soft chop water. It sometimes takes a moment to realize that they are rise forms; since the water can be fast and bouncy where these flies hatch and get taken by hungry trout. When you experience a good day of McKenzie Green Caddis fly fishing; you will be hooked, and every season you will make it a priority to experience. The hatch tends to come off about 2pm-ish, and it can last for hours intermittently. On the sunny hot days, there can be epic "evening rise" times; where the trout are eating them gluttonously, and you can rack in the numbers of trophy rainbows. The best days tend to be the muggy days with spotty rain showers and sunny breaks in between. The kind of days where you have your rain gear on, but you never really get wet. All you have to see out there is literally a few of these large caddis, and you will know it is time to put one on. 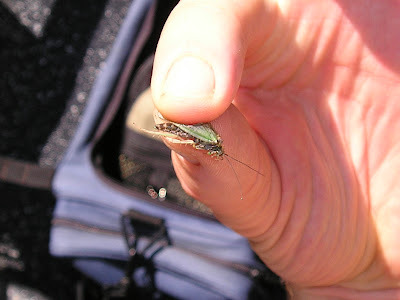 The fish get super keyed into them, and they will seek out green caddis and that will be it. The Green Caddis is one of those hatches that can be considered one of the best times to fish the McKenzie River, if not the BEST. 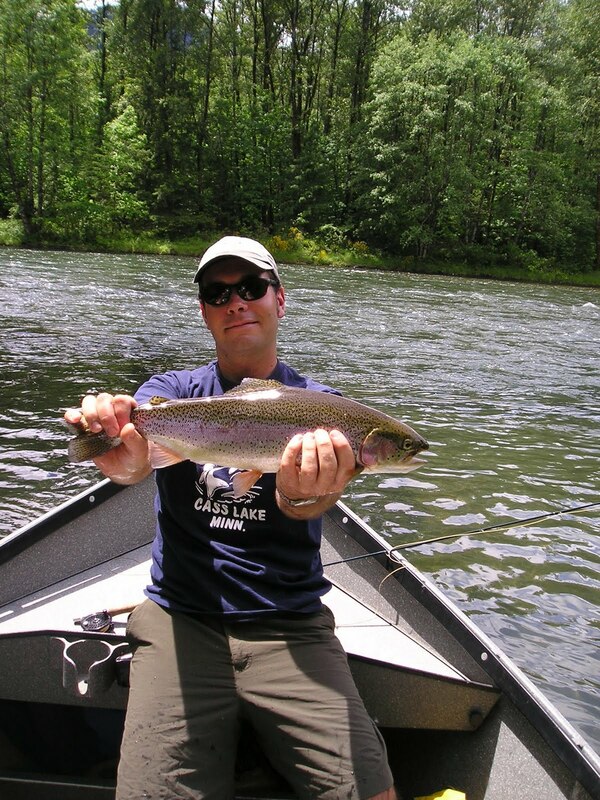 If you are interested in booking a guided trip for trout, call me at (541)-232-6360 or email me at fish@mckenzieangler.com . So, how long does the Green Caddis hatch usually last? I'm in Springfield all the time since the inlaws live there. This would give me a great excuse to sneak away a while. Well normally it runs from the last several days in April through mid June on the lower river, and through about July 4th on the upper river. This year it is super late, and is just starting up. Should hold out longer this year (I assume).